Surprised not to find this on YouTube. 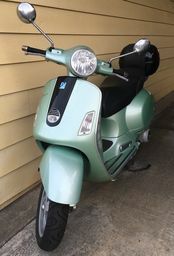 I'm trying to replace the damaged ignition barrel and associated parts on my 2009 Vespa GTS 250 after it was stolen a year ago. I have just got it back. The actual metal tube welded to the frame has been sawed and bent and it took me a while to remove the damaged parts. What I can't work out is the order of getting the bits back in as it would seem that the lock block should already be in the tube but then how do I connect it to the ignition barrel with ot's little locking clip. Easy enough to do it whilst all the parts are out but it looks like the lock block needs to be fitted via the rear of the metal tube whilst the lock body and barrel have to be inserted via the front. Has anyone done this before because I am stumped. 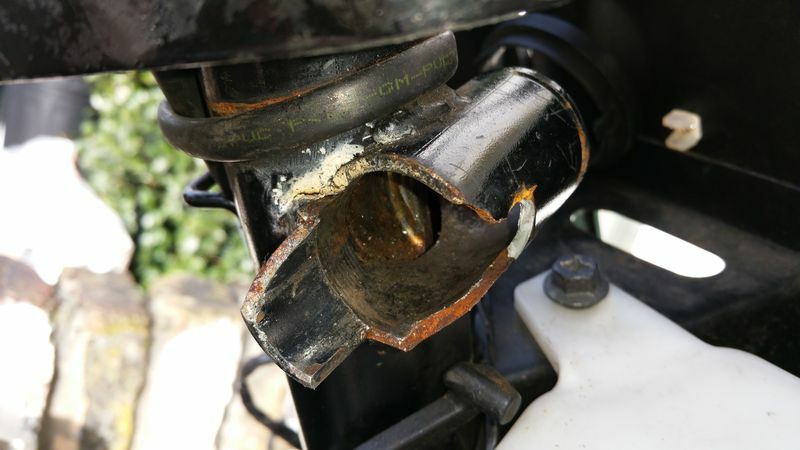 I believe I can get the damaged tube into a semblance of it's former self without resorting to a dealer charging me a fortune for welding etc. Hi Croyde, did you not get any response? I have just recovered my stolen ET2 and the lock/ignition barrel was wrenched completely out of shape. I was thinking about fashioning something to bypass the steering lock completely and just using a disc lock or something for brief parking security. You can't expect too much help here. Telling people how to bypass security etc isn't really in our best interests. At one point thieves were stealing 30 Vespa GTS's a week in London. If you take the bike to a local Scooter shop (when it's quiet) and show them your ownership docs then they might well explain what you need to do. Read some stuff about having to drop the forks when replacing the ignition barrel assembly. I can start the Vespa with the switch and it fires up as long as I hold the chip near the ignition barrel hole. Doubt that's allowable for the MOT though. You guys can't expect too much help here. Telling people how to bypass security etc isn't really in our best interests. 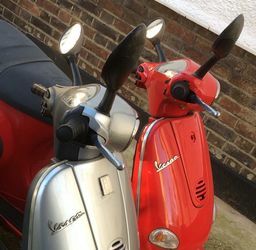 At one point thieves were stealing 30 Vespa GTS's a week in London. If you take your bikes to a local Scooter shop (when it's quiet) and show them your ownership docs then they might well explain what you need to do. Very good point. Probably why I can't find any YouTube tutorials. Although I want to have mine back to as new, as far as the ignition is concerned, with the immobiliser working. Sadly the rest of the bike looks in a sorry state but I plan to keep it this way in the hope it may put people off nicking it yet again. I doubt that's something they explicitly test for. The aim of the MOT is to make sure the bike is safe. Why not riot ring them and ask? ... it has several pictures of lock assembly. AFAIK, everything goes in from the front and is held in by two spring clips. The rear retaining clip is readily accessible. The front clip is hidden inside the metal tube; unless the lock plug is centered (the OFF position) and pushed in slightly. The large slot near the front of the tube is the access point for the front clip. Sir, that is brilliant. Thanks so much. Love SoCal, stayed with a beautiful girl in Calabasas one heady spring. So a good study of those pictures and stripping my GTS down today has made things so much clearer. The lock block has to go in the far end of the tube as there is a lip at the ignition end that effectively stops it from falling out. Problem there, is that the part of the fork that catches the lock block is in the way, hence other posts about dropping the fork. And I thought this was going to be a simple job. Anyhow the thieves have made it easier by destroying the ignition tube and the bent part broke off today. This means I can attach the lock block to the barrel and get the clip in, before pushing it all in via the front of the tube. I spent a while cutting and shaping the broken off bit of the tube to form the remainder of the tube collar thus hopefully stopping the ignition barrel from just turning and turning. I've done a practice run with the old knackered pieces and it seems to work. Just a shame the parts didn't turn up today. Thanks for the help and I'll be sure to let you all know if my bodge repair has been effective.